Vd. Poorvi Kaushik Vyas Lecturer, Dept. of Kriya Sharira, J. S. Ayurved College, Nadiad, Gujarat, INDIA. Kaushik B. Vyas Reader, Dept of Shalya Tantra, J. S. Ayurved College, Nadiad, Gujarat, INDIA. Hemang Raghavani Lecturer, Dept of Panchkarma, J. S. Ayurved College, Nadiad, Gujarat, INDIA. Swedana Karma is one of the Poorvakarma for Panchakarma procedures which relieves Shoola, Stambha, Gaurava and Shaitya as well as which induces sweating and softness in the body. Several types of classification of Sweda are mentioned in our classics and according to Agni Bheda, there are two types of Sweda, 1) Sagni Sweda 2) Niragni Sweda. Vyayama, Ushnasadan, Guru Pravarana, Kshudha, Bahupan, Bhaya, Krodha, Upanah, Aahav, Aatapa, Adhva and Bharharan are the types of Niragni Sweda which are useful in the diseases of Kapha Avrita Vata and Meda Avrita Vata. It is also important for (OPD level) those patients who can’t hospitalised and can be performed by themselves without any precaution or need of instruments. Niragni Sweda is very useful in the diseases which are in the list of contraindicated for Sagni Sweda, like Prameha, Sthaulya, Urustambha etc. Among these ten types, Vyayam, Upanaha, Guru Pravarana, Ushnasadan and Kshudha are main types of non thermal sudation. VYAS, Vd. Poorvi Kaushik; VYAS, Kaushik B.; RAGHAVANI, Hemang. A COMPREHENSIVE STUDY ON NIRAGNI SWEDA. 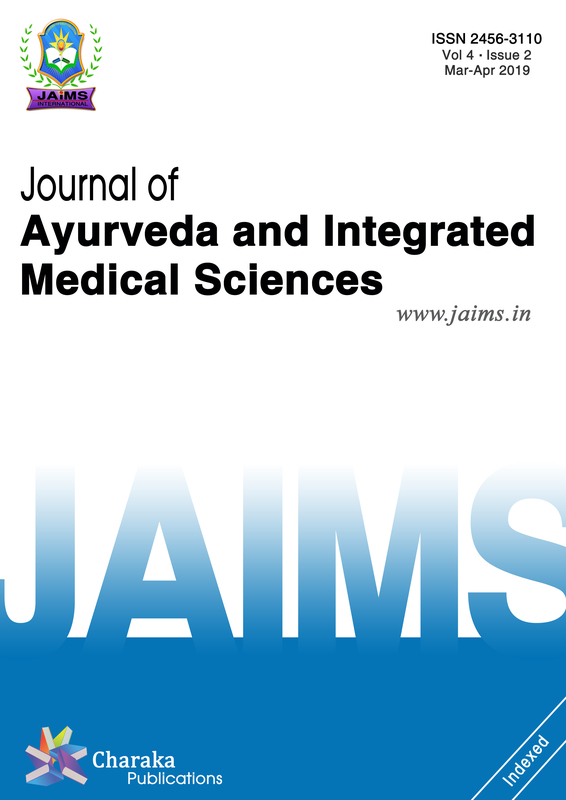 Journal of Ayurveda and Integrated Medical Sciences (ISSN 2456-3110), http://www.jaims.in/index.php/jaims/pages/view/Citation, v. 3, n. 5, p. 131 - 135, nov. 2018. ISSN 2456-3110. Available at: <https://jaims.in/index.php/jaims/article/view/659>. Date accessed: 25 apr. 2019. doi: https://doi.org/10.21760/jaims.v3i5.13830.